Khalid bin Abdulaziz Al Saud (Arabic: خالد بن عبد العزيز آل سعود‎‎ Khālid ibn ‘Abd al ‘Azīz Āl Su‘ūd; 13 February 1913 – 13 June 1982) was King of Saudi Arabia from 1975 to 1982. His reign saw both huge developments in the country due to increase in oil revenues and significant events in the Middle East. Aged 14, Khalid bin Abdulaziz was sent by King Abdulaziz as his representative to the desert tribes to hear their concerns and problems. In 1932, Prince Khalid was named as viceroy of the Hejaz, replacing Prince Faisal in the post, who was named minister of foreign affairs. Prince Khalid's term as viceroy of Hejaz lasted until 1934. Prince Khalid joined the Saudi army led by his older brother Prince Faisal and fought against Yemeni forces in 1934. After the war, Prince Khalid served as the chairman of the Saudi delegation at the Taif Conference with Yemen in 1934. This was a diplomatic move that led to the Taif Treaty later that year. In September 1943, Prince Faisal and Prince Khalid were invited to the United States, and then-Vice President Harry Truman organized a dinner for them at the White House. They also met the US President Franklin Roosevelt. They stayed at the official government guest house, Blair House, during their visit and visited the West Coast by a special train that was officially provided by the US government. A foreign diplomat described Prince Khalid during this period as "probably nicest man in Saudi Arabia." Khalid bin Abdulaziz was named Crown Prince in 1965 to succeed King Faisal after Khalid's older full-brother Prince Muhammad declined a place in the succession. Prince Khalid was also appointed first deputy premier. His main task was to govern all organisational and executive powers of the Council of Ministers. He also dealt with the affairs of the Governorate of Mecca on behalf of King Faisal. Crown Prince Khalid was not active in daily issues, but acted as a representative during King Faisal's absences in meetings or ceremonies. According to the declassified US diplomatic documents of 1971, he enjoyed the support of the tribal chiefs, religious authorities and of Prince Abdullah, head of the National Guard, during this period. King Khalid's reign began on 25 March 1975 when King Faisal was assassinated. He was proclaimed king after a meeting of five senior members of Al Saud: his uncle Prince Abdullah bin Abdul Rahman and his elder brothers Prince Mohammed, Prince Nasser, Prince Saad and younger brothers Prince Fahd and Prince Abdullah. The meeting occurred just hours after the assassination of King Faisal. King Khalid also became the de facto prime minister of Saudi Arabia. King Khalid married four times. One of his wives, Latifa bint Ahmed Al Sudairi, was the sister of Hassa Al Sudairi. His second wife was Tarfa bint Abdullah bin Abdul Rahman Al Saud. Noura bint Turki bin Abdulaziz bin Abdullah bin Turki Al Saud was the mother of his elder sons, Prince Bandar and Prince Abdullah. She died at age 95 on 12 September 2011. Sita bint Fahd Al Damir was the mother of his daughters and Prince Faisal. Sita bint Fahd was from the Ujman tribe in Al Badiyah and a niece of Wasmiyah Al Damir, wife of Abdullah bin Jiluwi. She died on 25 December 2012 at the age of 90. Khalid had four sons and six daughters. His youngest son, Prince Faisal, is the governor of Asir Province and a member of the Allegiance Council. One of his daughters, Hussa bint Khalid, married Abdullah bin Faisal bin Turki, grandson of Turki I. She died at the age of 59 in November 2010. Another, Princess Moudi, is the general secretary of the King Khalid Foundation and the Al Nahda Foundation, and a member of the Consultative Assembly. The seven-year reign of King Khalid ended on 13 June 1982 with his death due to a heart attack in Taif. On the same day his body was brought from Taif to Mecca. After funeral prayers at the Grand Mosque in Mecca, King Khalid was buried in Al Oud cemetery in Riyadh. Leaders of Qatar, Kuwait, Djibouti, the United Arab Emirates and Bahrain, as well as then-President of Egypt Hosni Mubarak, participated in the funeral. 1 2 "Biography". King Khalid Exhibition. Retrieved 5 August 2012. 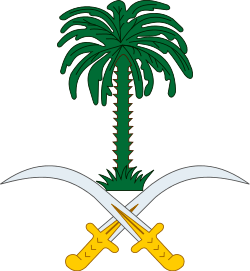 1 2 "Al Saud Family (Saudi Arabia)". European Institute for Research on Euro-Arab Cooperation. Retrieved 29 April 2012. 1 2 "King Khalid database". King Khalid Foundation. Retrieved 27 May 2012. 1 2 3 4 "King Khalid". Rulers. Retrieved 23 July 2012. ↑ Nabil Mouline (April–June 2010). "Power and generational transition in Saudi Arabia" (PDF). Critique internationale. 46: 1–22. doi:10.3917/crii.046.0125. Retrieved 24 April 2012. ↑ "Personal trips". King Khalid Exhibition. Retrieved 7 May 2012. 1 2 3 Helen Chapin Metz (1992). "Saudi Arabia: A Country Study". Country Studies. Retrieved 9 May 2012. ↑ Joshua Teitelbaum (1 November 2011). "Saudi Succession and Stability" (PDF). BESA Center Perspectives. Retrieved 24 April 2012. ↑ "Family Tree of Al Anoud bint Abdulaziz bin Abdul Rahman Al Saud". Datarabia. Retrieved 10 August 2012. 1 2 3 4 5 6 "King Khalid ibn Abdulaziz Al Saud". Global Security. Retrieved 3 August 2012. 1 2 3 4 5 6 7 8 9 "Key Figures". The Telegraph. 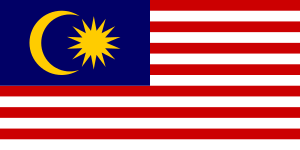 1 January 2001. Retrieved 2 August 2012. ↑ "King Khaled Ibn Abdulaziz Al Saud". The Saudi Network. Retrieved 9 August 2012. 1 2 Thomas W. Lippman (April–May 2005). "The Day FDR Met Saudi Arabia's Ibn Saud" (PDF). The Link. 38 (2): 1–12. Retrieved 5 August 2012. ↑ James Wynbrandt (2010). A Brief History of Saudi Arabia. Infobase Publishing. p. 182. ISBN 978-0-8160-7876-9. Retrieved 3 April 2013. ↑ "New, shy King is 'nicest man in Saudi Arabia'". Edmonton Journal. New York Times. 26 March 1975. Retrieved 4 August 2012. 1 2 3 4 Joseph A. Kechichian (2001). Succession in Saudi Arabia. New York City: Palgrave. ↑ Michael Herb (1999). All in the family. Albany: State University of New York Press. p. 102. ISBN 0-7914-4168-7. 1 2 3 4 Mordechai Abir (1988). Saudi Arabia in the Oil Era: Regime and Elites: Conflict and Collaboration. Kent: Croom Helm. ↑ "Saudi Arabia". Splendid Arabia. Retrieved 3 August 2012. ↑ Simon Henderson (1994). "After King Fahd" (Policy Paper). Washington Institute. Retrieved 2 February 2013. ↑ "Memorandum Prepared in the Central Intelligence Agency" (PDF). US State Department. Washington DC. 15 July 1971. Retrieved 11 August 2013. ↑ M. Ehsan Ahrari (1999). "Political succession in Saudi Arabia". Comparative Strategy. 18 (1): 13–29. doi:10.1080/01495939908403160. Retrieved 24 April 2012. 1 2 3 4 "Timeline". Saudi Embassy. Retrieved 25 June 2012. 1 2 Jennifer Reed (1 January 2009). The Saudi Royal Family. Infobase Publishing. p. 60. ISBN 978-1-4381-0476-8. Retrieved 20 April 2013. ↑ "King Faisal shot to death by 'deranged' nephew". The Miami News. AP. 25 March 1975. Retrieved 3 August 2012. 1 2 3 4 5 William B. Quandt (1981). Saudi Arabia in the 1980s: Foreign Policy, Security, and Oil. Washington DC: The Brookings Institution. p. 79. 1 2 3 Saudi Arabia A Country Study. Kessinger Publishing. 30 June 2004. p. 11. ISBN 978-1-4191-4621-3. Retrieved 20 October 2012. ↑ Bernard Reich (1990). Political Leaders of the Contemporary Middle East and North Africa. Westport: Greenwood. p. 177. 1 2 3 P. Edward Haley; Lewis W. Snider; M. Graeme Bannerman (1979). Lebanon in Crisis: Participants and Issues. Syracuse University Press. p. 116. ISBN 978-0-8156-2210-9. Retrieved 16 October 2012. 1 2 "Khalid, an almost reluctant ruler". The Sydney Morning. 15 June 1982. Retrieved 9 August 2012. 1 2 3 Mark Weston (2008). Prophets and Princes: Saudi Arabia from Muhammad to the Present. New Jersey: John Wiley and Sons Inc.
↑ Iris Glosemeyer (2004). "6 Saudi Arabia: Dynamisn Uncovered". In Volker Perthes. Arab Elites: Negotiating the Politics of Change. Boulder: Lynne Rienner Publications. pp. 141–172. ↑ Brian Lees (March 2006). "The Al Saud family and the future of Saudi Arabia" (PDF). Asian Affairs. XXXVII (1): 36–49. doi:10.1080/03068370500457411. Retrieved 18 April 2012. 1 2 Simon Henderson (14 September 2009). "Saudi Sucession—a Desert Legacy". The Cutting Edge. Retrieved 3 June 2012. ↑ Walaa Hawari (13 May 2010). "Remembering King Khaled". Arab News. Retrieved 2 August 2012. ↑ "Modern History". Saudi Embassy Warsaw. Retrieved 3 August 2012. ↑ Mark Thompson (30 June 2014). Saudi Arabia and the Path to Political Change: National Dialogue and Civil Society. I.B.Tauris. p. 15. ISBN 978-1-78076-671-3. Retrieved 14 July 2014. 1 2 Zuhur, Sherifa (2011). Saudi Arabia. Santa Barbara: ABC-CLIO, LLC. ↑ Don De Marino (1979). "Royal factionism and Saudi foreign policy" (PDF). Foreign Affairs. Retrieved 7 May 2012. ↑ "New Saudi Arabia King Picks Deputy Premiers". Sarasota Herald-Tribune. UPI. 30 March 1975. Retrieved 3 August 2012. ↑ Peter W. Wilson; Douglas Graham (1994). Saudi Arabia: The coming storm. M. E. Sharpe. ISBN 1-56324-394-6. Retrieved 13 April 2012. 1 2 3 Alexander Bligh (1985). "The Saudi Religious Elite (Ulama) as Participant in the Political System of the Kingdom". International Journal of Middle East Studies. 17 (1): 37–50. doi:10.1017/s0020743800028750. JSTOR 163308. Retrieved 11 April 2012. ↑ Kamal M. Astal (2002). "Three case studies: Egypt, Saudi Arabia and Iraq" (PDF). Pakistan Journal of Applied Sciences. 2 (3): 308–319. doi:10.3923/jas.2002.308.319. Retrieved 9 August 2012. 1 2 "Saudis behead zealots". The Victoria Advocate. AP. 10 January 1980. Retrieved 7 August 2012. ↑ Cyrus Dioun. "Democracy within Boundaries:Managing Risks While Promoting Liberalization in Saudi Arabia (February 2005)" (PDF). Middle East Program. Nathan Hale Foreign Policy Society. Retrieved 8 April 2012. ↑ "Saudi dynasty regains hold on monarchy after Moslem troubles". The Sydney Morning Herald. 27 December 1980. Retrieved 2 August 2012. ↑ Khaled, Matein (1 February 2005). "Saudi Arabia: The kingdom's geopolitical preoccupation". Khaleej Times. Retrieved 7 August 2012. ↑ Thimmesch, Nick (7 April 1977). "The Egyptian-Saudi peace axis". The News Dispatch. Washington. Retrieved 26 February 2013. ↑ "Obituaries in the News". Associated Press. Riyadh. 30 October 1999. Retrieved 26 February 2013. ↑ Andrew Downer Crain (1 January 2009). The Ford Presidency: A History. McFarland. p. 142. ISBN 978-0-7864-5299-6. Retrieved 12 August 2013. 1 2 Abdulrahman A. Hussein (2012). So History doesn't Forget: Alliances Behavior in Foreign Policy of the Kingdom of Saudi Arabia, 1979–1990. Bloomington: AuthorHouse. ↑ Gil Feiler (2003). Economic Relations Between Egypt and the Gulf Oil States, 1967–2000: Petro Wealth and Patterns of Influence. Sussex Academic Press. p. 151. ISBN 978-1-903900-40-6. Retrieved 26 February 2013. 1 2 Russell, William (25 April 1980). "Saudi King cancels visit to Britain". The Glasgow Herald. Retrieved 5 August 2012. ↑ "The King Khalid Diamond Necklace". From Her Majesty's Jewel Vault blog. ↑ "Saudi King arrives in Britain". The Montreal Gazette. UPI. 10 June 1981. Retrieved 5 August 2012. ↑ "British Premier visits Saudi Arabia". The New York Times. 20 April 1981. Retrieved 5 August 2012. ↑ Nabil Mouline (April–June 2010). "Power and generational transition in Saudi Arabia" (PDF). Critique internationale (46). Retrieved 14 July 2014. 1 2 3 4 "King Khalid Air Base". CoBases. Retrieved 7 August 2012. ↑ Gregg Johnson; Greg Lehman; Matthias Matthijs (Spring 2002). "Power and Preservation in the House of Saud" (PDF). The Bologna Center Journal of International Affairs. Retrieved 2 May 2012. 1 2 3 4 "Crown Prince Fahd takes control of largest oil-exporting nation". Herald Journal. 14 June 1982. Retrieved 28 July 2012. 1 2 "King Khalid faces another operation". The Deseret News. 29 September 1978. Retrieved 2 August 2012. ↑ "Khalid accepts lunch invitation at White House". Eugene Register. 21 October 1978. Retrieved 4 August 2012. ↑ "King Khalid is in good health". New Straits Times. Reuters. 20 October 1981. Retrieved 2 August 2012. ↑ "Ailing Khalid have visitors". Reading Eagle. UPI. 21 February 1980. Retrieved 4 August 2012. ↑ "Family Tree of Khalid bin Abdulaziz bin Abd al Rahman Al Saud". Datarabia. Retrieved 5 May 2012. ↑ "وفاة الأميرة نورة بنت تركي بن عبد العزيز بن تركي آل سعود (The death of Princess Noura bint Turki bin Abdulaziz bin Turki Al Saud)". Asharq Alawsat (in Arabic). Jeddah. 13 September 2011. Retrieved 10 August 2012. ↑ Jennifer S. Uglow; Maggy Hendry (1999). The Northeastern Dictionary of Women's Biography. Macmillan Publishers. Retrieved 27 May 2012. ↑ "Wasmiyah al Damir Biography". Datarabia. Retrieved 11 August 2012. ↑ "Death of Princess Sita bint Fahd". Saudi Press Agency. 25 December 2012. Retrieved 26 December 2012. ↑ "Family Tree of Hussa bint Khalid bin Abdulaziz Al Saud". Datarabia. Retrieved 11 August 2013. ↑ Betty Beale (15 October 1978). "Washington Letter". The Spokesman Review. Retrieved 7 August 2012. ↑ "الديوان الملكي ينعى الأميرة حصة بنت خالد (Death of Princess Hussa bint Khalid)". Al Riyadh. 18 November 2010. Retrieved 10 August 2012. ↑ "Princess Moudi bint Khalid". Who's Who Arab Women. Retrieved 11 August 2013. ↑ Bahgat Korany; Ali E. Hillal Dessouki (1 January 2010). The Foreign Policies of Arab States: The Challenge of Globalization. American University in Cairo Press. p. 371. ISBN 978-977-416-360-9. Retrieved 14 September 2013. ↑ "Booming Libya finds common interests with Gulf grandees". Zawya. 15 October 2007. Retrieved 7 August 2012. ↑ "People in the News". The Pittsburg Press. 23 December 1975. Retrieved 3 August 2012. ↑ "Work on king's mansion starts without consent.". The Times (60045). 2 July 1977. p. 13. Retrieved 11 March 2016 – via The Times Digital Archive. (subscription required (help)). ↑ "Saudi Arabia" (PDF). GSN. Retrieved 29 March 2012. ↑ Abdul Nabi Shaheen (23 October 2011). "Sultan will have simple burial at Al Oud cemetery". Gulf News. Retrieved 29 July 2012. ↑ "Death of King Khaled". Sarasota Herald Tribune. 15 June 1982. Retrieved 4 August 2012. ↑ Saeed Al Asmari (7 June 2013). "King Khalid Medical City Project earns Mideast design award". Arab News. Dammam. Retrieved 18 July 2013. ↑ "Leadership". King Khalid Foundation. Retrieved 9 August 2013. ↑ Muhammed Azhar Ali Khan (28 January 1981). "King Khalid stars at summit". Ottawa Citizen. Retrieved 3 August 2012. ↑ "الملك خالــد في سطور (King Khalid)" (in Arabic). King Khalid Award. Retrieved 8 August 2012. ↑ "Senarai Penuh Penerima Darjah Kebesaran, Bintang dan Pingat Persekutuan Tahun 1982" (PDF). Istiadat. Retrieved 6 June 2016.